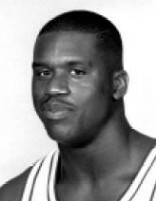 Drafted: Selected by the Orlando Magic in the first round (1st pick overall) of 1992 NBA Draft. you are really tall.and i am going to be a basketball player when i grow up. but i need some advice about basketball. i am 5'10".and i am 15 years old.